Officer Brian Law and Officer Juan Gonzalez were killed in a single vehicle crash while responding to an accident call on Highway 99, near Bethel Avenue, in Kingsburg at approximately 6:00 am. Both officers were riding in the same cruiser responding to the accident, which had been incorrectly reported in the northbound lanes of Highway 99. As they responded to the scene they came upon the accident in the southbound lanes with one of the victims in their travel lane. The patrol car swerved in an attempt to avoid striking the victim, struck the guardrail, and overturned. They both suffered fatal injuries in the crash. 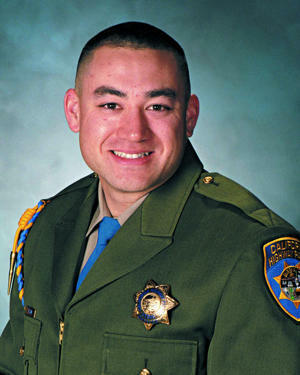 Officer Law had served with the California Highway Patrol for six years. He is survived by his wife and three children.